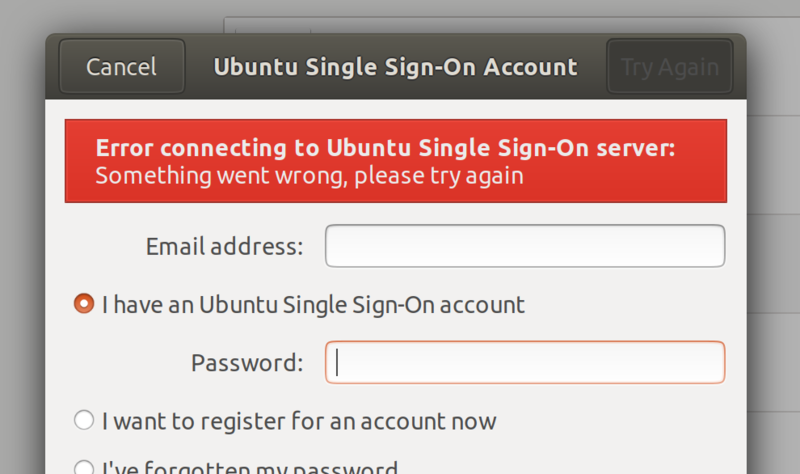 ubuntusso provider requires the user to authenticate using polkit. If the uses dismisses the polkit dialog, an error message is display right now as per screenshot attached. No error message should be displayed. Please find attached a debdiff with a fix to this bug. The attachment "goa.debdiff" seems to be a debdiff. The ubuntu-sponsors team has been subscribed to the bug report so that they can review and hopefully sponsor the debdiff. If the attachment isn't a patch, please remove the "patch" flag from the attachment, remove the "patch" tag, and if you are member of the ~ubuntu-sponsors, unsubscribe the team.